Does Your Business Need More Sales Leads & Referrals? We Can Help. . . Since 2002, we have invested 90,000 hours helping all types of businesses improve their sales and marketing efforts with our Drip Marketing System 2.0. And if you're looking to generate more sales leads and client referrals, then you need to talk to us sooner versus later. We've Generated $2.1 Million In Documented Sales Growth For Our Clients! Our content-rich system will serve as great word-of-mouth advertising for your business. Help position your business as a trusted advisor and industry thought leader. We can build your brand recognition and credibility in the marketplace. Remember, the more engaged your target audience is in you/your business, the more sales leads and client referrals you'll receive. To learn more about our money-making content for your industry, click here to view our industry done-for-you marketing packages. Better Content. Better Results. Better Take A Look. . .
We've Helped Our Clients Generate $2.1 Million In Documented Sales Growth. We Have The People, The Content, And The Processes To Help You Succeed! We Offer A Number Of Low-Cost Marketing Packages For Your Industry. 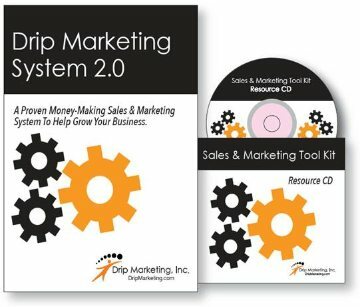 Our Drip Marketing 2.0 Is A Proven System To Jump-Start Your Sales.